Here for you now, tomorrow and beyond. Providing support, learning and coaching to give you instant results. A unique service, the CitNOW Academy was created to ensure you have all the tools you need to maximise the potential of personalised videos for your customer base. With ongoing support to maintain the skill base across your employees, you can access these learning solutions in any language you need. These can be delivered onsite, online and on demand and can be tailored to your specific challenges and requirements. A three-day, on-site programme to put you and your team in the driving seat to deliver immediate and lasting results. Day one - Implementation will provide you the thinking, tools and training to hit the ground running. Day two and three - Our Academy Consultants will work with you to build confidence, increase competence, and provide capability in managing and delivering the video strategy. Designed to provide informative and instructional learning to help you develop and evolve, and in multiple languages so everyone can learn to grow. Learn how to use video to give your customers the very best experiences, our eLearning modules will help advance your confidence and skills — with a certificate of learning upon completion. CitNOW Academy ‘Quick Learns’ enable you to improve each element of a video, step-by-step. Constructed to deliver informative sessions to help you understand where, and how, to use our services. 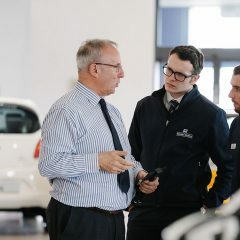 Tailored to meet dealer’s group wide, team, or individual needs, these sessions will aid in the delivery of excellent customer service. Coached by our Academy Consultants, these sessions are sure to expand the knowledge of participants and raise performance levels. 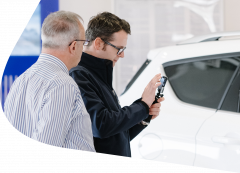 Practical sessions designed to maximise your use of our systems for existing CitNOW Dealer Management. Held across a range of regional locations so everyone has access, the seminar’s focus on unleashing the full potential of the Sales, Web and Workshop products. We’re able to develop specific seminars to suit any requirement, support existing Brand activity or to focus on an exact part of your customer journey. Taking learning to the heart of your business. Our roadshows are designed to engage every site across a Brand Network or Dealer Group to deliver short impactful sessions to all users within a department. Delivery focuses on practical activity-based modules that are designed to fit in around your business — minimal disruption, maximum reward. Roadshows can be preceded by Management Seminars to support the on-site learning. Introducing video was an extremely positive step for the business, but the next stage was to ensure consistency and quality across all teams at all sites. We also needed to re-energise the entire Health Check process. The CitNOW Roadshow is a high-energy, hands-on training event, crucially with minimal workshop downtime. We’ve already seen a tangible uplift in customer comments on the videos we’re producing, which is extremely positive. Using diagnostic, coaching and consultation techniques developed by the CitNOW Academy, DnA helps maximise the impact of video within your business by assisting dealer management to review, refine and evolve processes. This programme will help you to create consistent user engagement and video quality and deliver an action plan of change that will improve the use of video across the customer journey. Want to discuss how Academy can assist your video performance?